Colabria is an action research network. Scholars and academics call it praxis intervention. The focus is proximate. The scope is global. Periodic collaborations, conferences, and confabulations propel Colabria. They are known as Colabria Clusters. The purpose is to Create The Future. Colabria was founded in San Francisco in 1996. 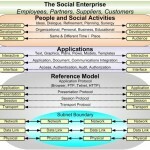 Ongoing themes include enterprise leadership, social media, complex systems, information architecture and knowledge-based methods and techniques. Colabria conducts and participates in hundreds of seminal events for thousands of delegates worldwide. Colabria refracts and anneals essential leadership behaviors. Systems-level techniques and future methods lead the conversation for delegates. 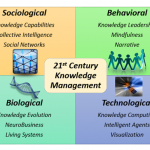 The focus is 21st-century knowledge-based businesses, organizations and civil societies. 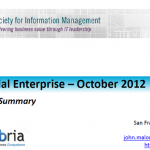 Colabria drives mastery of future-focused systems-thinking, networks and complexity. Techniques, tools, talent, and technology propel Next Practices. The heart of the Colabria mission is leadership development. Robust, confident leadership creates prosperous businesses outcomes. Optimal leadership inhabits future-focused organizations and ecosystems. Mastery is achieved through triangulation of theory, tools and practice. Sense and meaning are energized through authentic conversations and narratives. The unique, systems-level bias of the Colabria Clusters advances comprehension. Elegant simplicity delivers inspired interactions. Shared imagination drives action. Mental models shape learning. Personal mastery is achieved. The outcome is prosperity. Colabria’s orbit and history is broad and varied. Below is a modest collection of seminal events worldwide. San Francisco, California (PRWEB) February 27, 2013 — The AngelList User Group is an after-work reception and Meetup on Tuesday, March 12th 2013 in San Francisco, California USA. It is for entrepreneurs, investors, talent and all users of AngelList. AngelList is popular website and platform for raising money for startups. All are welcome. Pomona, CA (PRWEB) April 15, 2010 — Why do some social media and online groups succeed when so many others fail? How do different online media and populations differ? How do patterns of contribution vary? How do these differences illustrate the roles people play within their communities? 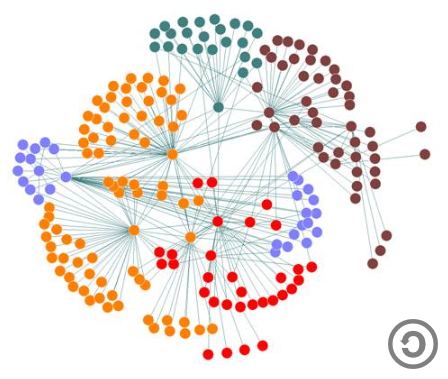 How can I visualize and optimize my networks to assure success with social media? Seattle, WA (PRWEB) May 13, 2010 — The Prediction Market Clusters in collaboration with Microsoft Corporation, Aurora WDC, Consensus Point, The Boeing Company, Amazon.com, the Iowa Electronic Markets, the University of Washington and many others announces the Collective Intelligence Summit – Leading Enterprise Prediction Markets on Friday 4 June 2010 in Seattle, Washington, USA. San Francisco, CA (PRWEB) March 3, 2010 – The Open Mashup Alliance, Jackbe Corporation, The Programmable Web, Serena Software, EMU Summits, Adobe Systems Incorporated, Ribbit, DreamFace, Hinchcliffe & Company and many others announces the Open Enterprise 2.0 Mashup Summit on Friday, 12 March, 2010 in San Francisco, California USA (http://www.emusummit.com/). 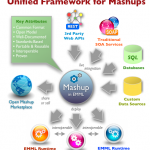 The Enterprise Mashup Summit will be held at the San Francisco State University beautiful downtown campus in the heart of San Francisco. Chicago, IL (PRWEB) October 21, 2009 — The Prediction Market Clusters in collaboration with Aurora WDC, Consensus Point, Spigit, CrowdCast, InTrade, Exago Markets, Mercury-RAC, Motorola, the Iowa Electronic Markets, the University of Chicago and many others announces the Collective Intelligence Summit – Leading Prediction Markets on Friday 6 November 2009 in Chicago, Illinois, USA. San Francisco, CA (PRWEB) March 29, 2009 — The Prediction Market Clusters in collaboration with NewsFutures, Crowdcast, Consensus Point, Mercury-RAC, the Prediction Markets Industry Association, and many others announces the Collective Intelligence Conference and Prediction Markets Summit 24 April 2009 in New York City, New York USA. San Francisco, CA (PRWEB) December 9, 2008 — The Prediction Market Clusters in collaboration with NewsFutures, Xpree, the Prediction Markets Industry Association, Mercury-RAC, Robin Hanson, and many others announces the Collective Intelligence Conference and Prediction Markets Summit 23 January 2009 in San Francisco, California USA. New York City, NY (PRWEB) December 24, 2007 — Colabria®, in collaboration with Google, Jackbe, Kapow Technologies, Mashery, The Programmable Web, IBM, Serena Software, Nexaweb, Capgemini, SAP Users Group, University of Southern California and many others, announces the Open Enterprise 2.0 Mashup Summit East – Expanding Customer Value Networks on Friday, 1 February, 2008, in New York City, NY. San Francisco, CA (PRWEB) December 20, 2006 — AEI-Brookings Joint Center, in collaboration with Colabria, announces the AEI-Brookings Joint Center Prediction Markets Conference, on Thursday, 18 January, 2007 at the AEI-Brookings Joint Center Headquarters in Washington, DC. New ways to share, trade and aggregate information using Internet-based markets are growing rapidly. These powerful knowledge markets help companies, schools, governments and individuals to acquire and master ever-growing bodies of knowledge. These capabilities achieve mastery of collective wisdom with stunning speed and accuracy. San Francisco, CA (PRWEB) March 30, 2006 — Colabria®, the leading worldwide action/research network of the knowledge economy and Uplift Academy, a Transformational Network, announce the European Uplift Academy Workshop, in Paris, France, April 27-28, 2006. San Francisco, Calif. USA (PRWEB) March 27, 2006 — Colabria®, the leading worldwide action/research network of the knowledge economy and Cisco Systems®, announce the European Value Networks Summit and broad industry sponsorship for value networks (VN) and value network analysis (VNA). San Francisco, Calif. (PRWEB) February 15, 2006 — Colabria®, the leading worldwide action/research network of the knowledge economy and Cisco Systems®, announce industry sponsorship, collaboration, events and leadership for value networks (VN) and value network analysis (VNA). San Francisco, CA (PRWEB) January 19, 2006 — Colabria® — the leading worldwide action/research network of the knowledge economy – announces NewsFutures, InTrade and HedgeStreet. will join Google, Yahoo!, CommerceNet and others for the Prediction Markets Summit, February 3rd, 2006 in New York, New York USA. San Francisco, Calif. (PRWEB) November 28, 2005 – Colabria® and CommerceNet are proud to announce that Google, Yahoo!, Microsoft, HP Labs, Stanford Business School, NewsFutures, InTrade and HedgeStreet are all participating in the Global Prediction Markets Summit, Dec. 2 in San Francisco. It is the first collaboration on a global level to combine scholarly research with innovative technology and practical solutions for executives, decision makers and professionals. San Francisco, CA (PRWEB) November 8, 2005 — Colabria, KM Cluster, CommerceNet and NewsFutures announce the first Prediction Markets Summit, to be held December 2, 2005 in San Francisco. The Prediction Markets Summit will highlight the applications of knowledge management, an up-and-coming trend in business technology, for the knowledge and information markets.